Thanks to the efforts of the very obsessive Jon Wilner of the Mercury News, we finally have some closure to the question of why, all those years ago, DIRECTV didn’t pick up the new Pac-12 Network, and why they still don’t have it to this day. In an article that is so long that it runs to two parts, Mr. Wilner goes into excruciating detail about the early aspects of the deal, even going so far as to find Derek Chang, the DIRECTV executive responsible for putting the kibosh on the deal with Pac-12. He runs out the reasoning, and spoiler alert – it’s going to seem familiar. We’ve been talking about this channel on our blog for years and the answers have always been the same. The first thing is that at the time, DIRECTV wanted to pay about $0.50 per subscriber per month for the channel and Pac-12 was coming in with a price of $0.80 per subscriber per month. This doesn’t sound like a lot until you realize that at the time DIRECTV had about 18 million subscribers. That forty cents extra meant an extra ninety million dollars a year and now, with the total subscriber count sitting at about 24 milion…. the total cash outlay for just Pac-12 alone would be almost a quarter billion dollars. AT&T is a big company but surely they’re going to think twice before spending that kind of cash, especially when it isn’t worth it. While Comcast and other cable companies were being allowed to negotiate with Pac-12 on a market-by-market basis, DIRECTV was being asked to negotiate for all-or-nothing coverage. It couldn’t have Pac-12 as an a-la-carte service, instead every subscriber would get the channel whether they wanted it or not. That meant two things. -First, the channel would have to go into the lowest programming package which is also the most price-sensitive. While these numbers aren’t ever disclosed, it’s widely believed that the lowest programming packages for every pay-TV provider are money losers already, and to add another channel to those packages can be a struggle. -Second, the channel would be offered to millions upon millions of people who didn’t care whether it was there or not. There’s a large chunk of people, especially out west, who care about college football in the Rockies and on the coast, but there are an awful lot more people who don’t. This wasn’t a fair deal compared to what cable companies were being offered. The channel itself just isn’t worth a lot. The thing about Pac-12 is, a lot of the same content is carried on other channels that are already on DIRECTV. Not only that but the most widely watched games in the entire conference are hand-picked for broadcast on ESPN and so aren’t available at all on Pac-12. Those factors and many others meant that DIRECTV said “no” to Pac-12 and never looked back. It was a strange move for a service that built its reputation on providing sports programming that no one else could, but it’s turned out to be the right one. DIRECTV has consistently become more profitable and even though it’s not immune to subscriber losses, it’s still the most robust pay-TV provider. While cable companies shed millions of customers a quarter, DIRECTV grows, shrinks slightly, or stays the same. 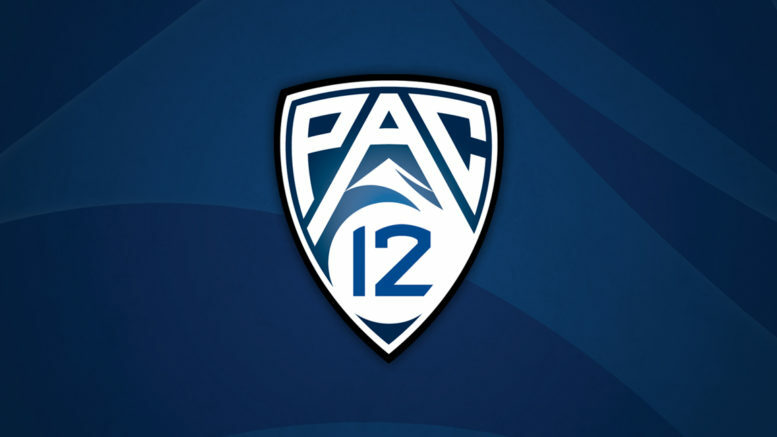 Looking back, the choice not to carry Pac-12 turned out to be the right one, as the company added millions of subscribers in the following years due to the AT&T deal and with the launch of the DIRECTV NOW service. While many AT&T customers did actually have Pac-12, not all did and since the AT&T wired cable service is effectively shutting down, the high costs associated with Pac-12 don’t follow those subscribers when they convert to DIRECTV. Pac-12 really could have made a splash back then by launching not as a cable channel but a streaming one. Keep in mind that there was MLB.TV at that time and DIRECTV was doing streaming with its NFL Sunday Ticket package. It’s true that not as many people had fast internet in 2012 as do today but there could have been enough to sustain Pac-12 until more people upgraded. They could have really redefined the regional sports market, except… well, they didn’t. Their choice to do “business as usual” kept them off the largest pay-TV service in the world, and ultimately set the stage for DIRECTV to take a tougher stance with other sports channels like SportsNet LA in a bid to keep costs down. It’s hard to know how a channel like Pac-12 will fare in the future. All around me I see that football programs in school just aren’t as popular. Parents are keeping kids away from football because of the risk of injury, moving them instead to somewhat more genteel sports like soccer. As kids grow up without firsthand football experience, they won’t care as much about college teams and that could spell doom for niche channels like Pac-12 and ESPN-SEC Network. Only time will tell.